The new Australian Government should: restore focus and funding to defence policy; re-energise the G20; add substance to the Australia-China strategic dialogue; work with China in the Pacific Islands region; and adopt a measured and sustainable approach to people-smuggling. Australia faces both challenges and opportunities on the international stage. Changes to the global economic and strategic order are forcing Australia to rethink many of the assumptions that have traditionally underpinned its security and prosperity. At the same time Australia’s elevation to the world’s leading economic and political forums provides it with an opportunity to influence this changing world. The new Australian Government should approach these international challenges and opportunities with judicious ambition. It should restore focus and funding to defence policy, re-energise the G20, add substance to the Australia-China strategic dialogue, work with China in the Pacific Islands region and adopt a measured and sustainable approach to people-smuggling. There are rare moments in the life of every government when it is able to set itself some priorities on the international stage. All too often, foreign policy-making boils down to little more than responses to events and reactions to crises. So in these first days after the federal election, the Lowy Institute is taking the opportunity to outline five international policy priorities for the new Australian Government. In outlining these priorities, we are mindful of the challenges and opportunities Australia faces on the international stage. The rise of China and changes to the global economic and strategic order are forcing Australia to rethink many of the assumptions that have traditionally underpinned its security and prosperity. At the same time Australia’s elevation to the world’s leading economic and political forums, the G20 and the UN Security Council, provides the country with an unprecedented opportunity to influence this changing world in ways that will help secure Australia’s future. The new Australian Government has a choice, therefore: get out on the front foot and pursue these challenges and opportunities with ambition; or adopt a defensive posture and hope that the country can duck the economic and strategic bouncers that will almost inevitably head its way in coming years. In our view, and that of our Lowy Institute colleagues writing in the following pages, the new government should be ambitious – although that ambition should be mixed with good doses of humility and realism. In that vein, the five international policy priorities for the new Australian Government that we outline here all reflect what might be termed judicious ambition. Rory Medcalf and James Brown argue that a combination of Australia’s broad national interests and an increasingly challenging strategic environment means that the new government must restore focus and funding to defence policy. The new government needs to answer some fundamental questions about what it wants the Australian Defence Force (ADF) to do, and then make a credible commitment to fund the capabilities the ADF needs to do it. The US rebalance is also raising expectations of Australia in Washington. Future calls for alliance contributions are more likely to be in Asia, more likely to be strategic, and more likely to brush up against key national interests than in the past. The new government should take the initiative in influencing the future shape of Australia’s alliance relationship. Mike Callaghan argues that judicious ambition will also need to be the hallmark of Australia’s stewardship of the G20. Australia will chair the forum in 2014; the Leaders’ Summit in Brisbane in November will be the most important economic gathering ever held in the country. The new government should re-energise the G20, a forum that is both central to reviving the global economy and one that puts Australia at the centre of international economic policy-making. Key Australian ministers, including the Prime Minister, will need to commit time and energy to improve the way the G20 functions and ensure that its agenda is focused and relevant. Likewise, Linda Jakobson argues that it is time to be ambitious about the Australia-China relationship. The new government needs to add substance to Australia's strategic dialogue with China agreed between Beijing and Canberra this year. It is an arrangement that Beijing has with few other countries, so its creation was an impressive achievement. But it will be up to Canberra to put forward ideas to ensure the new partnership does not end up a hollow one. Jenny Hayward-Jones and Philippa Brant contribute a further specific proposal to the idea of adding substance to the Australia-China relationship. They argue that Australia should work with China in the Pacific Islands and add this to the agenda of the strategic dialogue as well. Rather than seeing China’s rising aid funding to the region as a threat to Australian leadership, Australia should be comfortable enough in its own position to work with China – including to mitigate some of the problems caused by Chinese aid activities in the region. Finally, Khalid Koser makes an argument that emphasises judiciousness over ambition in urging the new Australian Government to adopt a measured and sustainable approach to people-smuggling. He proposes five guidelines for the new government as it implements its key election promise to ‘stop the boats’. He argues that by managing public expectations, developing evidence-based policy, promoting effective consultation with key stakeholders, cooperating regionally and globally, and underlining domestically the importance of immigration to Australia, the new government can ensure that its new policy will prove more successful and durable than its predecessor’s. In this period at the beginning of its term of office when a government’s energy and ambition should be at its highest levels, we would urge the new Australian Government to take the initiative and grasp the key challenges and opportunities we have outlined in this Analysis. Australia’s expansive national interests and an increasingly challenging strategic environment in Indo-Pacific Asia make it essential to modernise the Australian Defence Force (ADF). Yet as things stand, the nation’s defence capabilities remain underfunded. The new Australian Government needs to restore funding, articulate a coherent defence strategy and do some deep thinking about the alliance relationship with the United States. Australia’s interests extend well beyond the safety of its citizens and the protection of its vast territory. Its prosperity and security depend on seaborne exports, global flows of finance, information and people, a rules-based international order, the strategic choices of its US ally, and stability among powerful nations in Asia. Yet the strategic environment in which Australia must protect or advance those interests is changing and becoming more uncertain. With China’s rise, the future of the Asian strategic order is in question. Economic and political dysfunction is worsening across many countries, combining with nationalism, resource pressures, territorial disputes, military modernisation and strategic mistrust to increase tensions and unpredictability. America is striving to reaffirm its commitment to regional security, as underlined by President Obama’s declared ‘rebalance’ to Asia. But this will also impose new demands on Australia. Although a major conflict between the United States and China is very unlikely, it would have an extremely high impact on Australian interests even if this country tried to avoid direct involvement. There is always a risk that maritime tensions between China and Japan or China and the Philippines could escalate, placing great pressure on the United States to assist either of its allies. In turn, Washington might seek Australian help. It is difficult to imagine an Australian government saying no to an American request for military support in these and other scenarios, such as incidents on the Korean peninsula. Australia also faces an enduring range of challenges below the level of regional conflict. The South Pacific and East Timor will remain prone to severe governance problems, resource and population pressures and natural disasters. Australia would almost certainly be called on again to lead humanitarian or stabilisation activities in our region. Most missions would be small, although there remains a remote possibility that Australia would be required to restore order in Papua New Guinea, something that would be beyond the current capabilities of the ADF. expensive, so deferring modernisation to save money in the short term makes it more costly in the end. The ADF is still feeling the effect of a 10.5 per cent budget cut in 2012. Such short-term savings could cause irreversible decline to capabilities, leaving them unable to be regenerated within reasonable warning times for any future crisis. Already, some capabilities have been effectively mothballed; others are at low levels of readiness.The Army has told government that without augmentation it would not be able to sustain concurrent deployments. And structural and sustainment issues, such as the paucity of naval engineering capability and underdeveloped national defence infrastructure, are jeopardising current capability and future modernisation plans. The force structure proposed by the 2009 and 2013 Defence White Papers has commanded broad political support as a vision for a modernised ADF. But deferral and underfunding are turning it into a mirage. Most security experts deem that force to be unachievable on present budget trends and projections. According to one estimate, up to $33 billion beyond current defence budget projections would need to be found to fund it over the next 10 years. What should the new Australian Government do? The new government needs to do three things: work out what it wants the ADF to do; work out how to pay for it; and do some deep thinking about what the alliance relationship with the United States will demand of Australia in future. To modernise the ADF, spending would need to increase substantially from its current historically low level of 1.59 per cent of GDP. More important than campaign promises by both parties to eventually return spending to 2 per cent of GDP on defence is the need to begin funding increases in the near-term, while planning for the next decade and beyond. To reach these levels of funding, foreseeable budgetary circumstances would have to change, or the government would need to reallocate spending from other portfolios. This is a matter of political choice. The problem is that Australian governments typically prioritise defence spending only in response to crises, while what is really required is a sustained long-term increase in funding. In fact, a credible future military may cost more than 2 per cent of GDP. But before the government can be sure how much military spending is the answer, it first needs to ask itself what it expects the ADF to do. Currently too much of Australia’s thinking on military strategy is left to military planners without clear political direction about why, where and when government would want the option of using military force. This silence is loudest when it comes to maritime strategy. The next-generation military that the last two defence white papers have envisaged for Australia is principally maritime, ranging from long-term plans for a fleet of 12 submarines to the current fitting-out of two huge amphibious assault ships that will embark specialised Army units. The fundamental questions about these capabilities are strategic: what do we want them to do, where, and why? The promised new defence white paper needs to be a first principles review, rather than automatically defaulting to a modest adjustment based on inherited capability choices and politically pre-determined budget constraints. It should consider all options for the ADF, including those that might now seem radical and imaginative such as a much larger investment in unmanned systems. It should critically assess whether the basic structure of the ADF (essentially unchanged since the Menzies era) remains the right one. Its conclusions on force posture and capability should be publicly justified against other alternatives. It should incorporate thorough independent analysis, in a similar fashion to the US Quadrennial Defense Review. Second, the government needs a long-term defence capability and budget plan committing the additional funds necessary to pay for a credible force structure. This would involve steadily increasing overall defence expenditure as well as providing for 3 per cent annual real growth in the defence budget just to sustain current military capability. Without this kind of investment, the government would be forced to make some controversial and risky cuts to defence. These could involve, inter alia: reducing large numbers of senior positions in the Australian Defence Organisation or instituting an across-the-board pay freeze for a year or more; reducing the size of the Army’s future armoured vehicle fleet, increasing risk to deployed troops; reducing the future submarine fleet; or cutting back the size of the future Joint Strike Fighter fleet and flying hours for pilots, a decision that would be out of step with regional trends. Third, the new government should also do some deep thinking about Australia’s alliance relationship with the United States. The alliance brings irreplaceable benefits to Australia including access to strategic deliberations, exceptional intelligence, advanced military technology and, most important of all, security guarantees. But change in Asia will re-shape the alliance. Australia’s future alliance contributions will be more strategic than tactical, and will brush against direct strategic and economic interests. The new government should take the initiative in influencing the future shape of the alliance. In this the government must comprehend two dynamics. The first is deepening military integration, involving the presence of US assets in Australia and the placement of senior Australian personnel in US commands. Here policy should be driven by political leadership, rather than emerging from the momentum of existing military connections and staff planning. The second dynamic relates to expectations of Australia as a force contributor as the United States rebalances its military and diplomatic posture to Asia, and looks for allies to share more of the regional burden. There is much Australia can contribute to the alliance: leadership in the South Pacific; maritime situational awareness; alternative channels of engagement with China and Indonesia; intelligence and planning; counsel in crisis. But effectiveness in these roles requires credible military capabilities of our own, underpinned by clear thinking on our strategic goals. Australia will be the chair of the G20 in 2014. The Leaders’ Summit in Brisbane in November will be the most important economic gathering ever held in Australia. There are high expectations that Australia will be instrumental in re-energising the G20 as the premier forum for international economic cooperation. To do that Australia will need to both improve the way that the G20 does its work and define a focused and relevant agenda for the forum. It is important that Australia’s chairing of the G20 is a success. Not only for national pride, but because global economic prospects, and in turn Australia’s economic fortunes, will be improved with an effective G20. The world economy is no less integrated than it was in 2008, when the G20 rallied to prevent the global financial and economic crisis from leading to a global depression. There has been no reduction in the potential for events in and policies of one country spilling over and seriously impacting other countries. The world needs an effective forum for international economic cooperation. Moreover, it is not pre-ordained that the G20 will always be the key global forum for dealing with pressing global economic issues. In fact, there is a widespread view that the effectiveness of the G20 is waning. The G20’s current role could be usurped by another forum that does not include Australia as a member, such as an expanded G8. If this happens Australia would lose the ability to shape global economic decisions critical to our future prosperity. Broadly, Australia needs to achieve three objectives in relation to the G20. First, all G20 leaders need to come to the Brisbane Summit. It would be embarrassing for the government, and damaging to the future of the G20, if key leaders did not attend. But if leaders start to lose interest in the G20, some may not come to Brisbane. A long trip to Australia eats into the time of world leaders. Second, Australia’s approach to the organising and chairing of the G20 must set a new high benchmark for future chairs, which would help re-energise the G20. Third, and most importantly, the Brisbane Summit must achieve some tangible outcomes that strengthen the global economy. 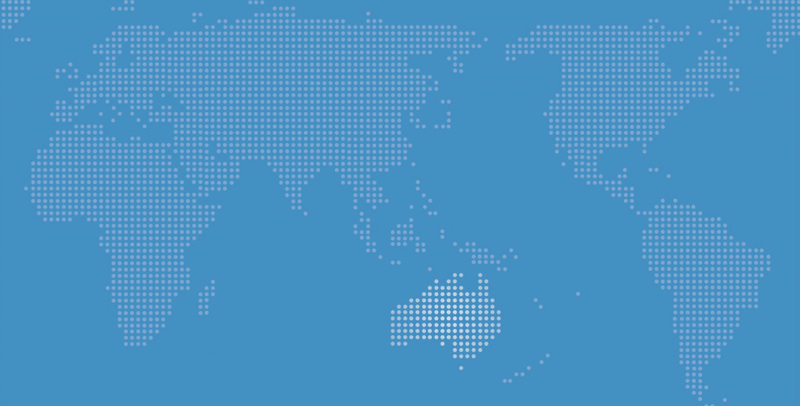 Australia should release a concept paper in early December 2013, immediately after it assumes the chair, outlining its approach to chairing the G20 in 2014. The message should be that things will be different. The G20 process will be targeted, streamlined, pragmatic and most importantly, results-oriented. Priority will be given to improving communication, particularly in outlining how the activities of the G20 are inter-related and aimed at improving people’s lives. Communication from recent G20 summits has been poor, in part reflecting the absence of significant outcomes to report. There should be a short leaders’ declaration from the Brisbane Summit that covers the main achievements, rather than a very long communiqué. Progress reports on other issues should be released separately. Australia should emphasise that there will be greater transparency and further efforts to improve G20 accountability in 2014. As early as possible the Prime Minister should make personal contact with G20 leaders and outline Australia’s approach to the G20. Good personal relations with leaders will be vital to achieving progress on difficult subjects. The Prime Minister should use his attendance at the APEC Summit in Indonesia on 7-8 October 2013 and the East Asia Summit in Brunei Darussalam on 9-10 October 2013 to discuss Australia’s approach to the Brisbane G20 Summit with other leaders. The government should appoint a parliamentary secretary for the G20. This individual would be the personal representative of the G20 leader and would be the chief public spokesman for Australia on the G20 in 2014. The appointment of a parliamentary secretary would underline that the government sees the Brisbane Summit as a priority. The Prime Minister would need to quickly identify the priorities for the G20 in 2014. The G20’s agenda is currently too long and too broad, but member countries object when items they have placed on the agenda are dropped. Australia should adopt a ‘twin track’ process. That is, work would continue on a wide range of issues, but leaders would focus on a few key areas that would be identified as the ‘headline’ agenda items for the Summit. These would be the ‘take-outs’ – the main achievements from the Brisbane Summit. In selecting the priorities for the Summit, it is important that they are ‘owned’ by the Prime Minister. They must be his priorities and not those of officials. If progress is going to be made in overcoming some intractable global economic problems, this would require the personal and committed involvement of the Prime Minister. The Prime Minister would have to be actively engaged in negotiations with other leaders and would need to convey the importance he attaches to these issues. Australia has already signaled that its focus would be on ‘jobs and growth’. This is the focus of the Russian presidency. Jobs and growth is an appropriate overarching objective, but there is no silver bullet solution that would quickly restore global growth. Progress has to be made across many fronts, primarily involving the domestic policy settings in member countries. While the G20 says that it is focusing on promoting growth, the IMF continues to revise down its forecasts for the global economy. Australia would need to identify specific objectives for the Brisbane Summit and show how they would contribute to achieving sustainable economic and jobs growth. One key priority should be trade. The G20 should be worried about the future of the international global trading system after the failure of the Doha round and the trend towards mega-regional, and discriminatory, trade deals. The Brisbane Summit should begin a process of resurrecting the multilateral trading system and the WTO in a post-Doha world. Trade is critical to delivering economic and jobs growth. Another priority should be climate change. The G20 cannot do the work of the United Nations Framework Convention on Climate Change (UNFCCC). But it could provide momentum for achieving a deal at the next UNFCCC conference in 2015. Specifically, the G20 could focus on the issue of climate change financing. At the Copenhagen and Cancun climate change summits, there was a commitment to mobilise US$100 billion per year to help developing countries with adaptation and mitigation. While consideration of the options for raising this money has been on the G20 agenda for some time, it has not been seriously addressed. Officials are defensive and unwilling to advance the issue. It will require political involvement to make any progress. This is a role the G20 should play. If leaders could give serious consideration to the issue of climate change financing in 2014, it would build momentum toward 2015. Priority should also be given to revitalising the G20 finance ministers’ process. Organisational changes are required to generate improved discussions between ministers, with fewer reports from international organisations. G20 finance ministers and central bank governors have to comprehensively address all the policies necessary to restore growth, including structural reforms, rather than engage in a selective consideration of issues. Australia should focus on financial regulation and prevent the G20 from becoming little more than a rubber stamp for the Financial Stability Board (FSB). Financial regulation requires more dedicated oversight by the G20 ministers. The G20 should examine the cumulative effect of the regulatory changes, the possibility of unintended consequences and the overall impact on stability and growth. Finally, Australia must maintain momentum in combatting tax avoidance through corporate base erosion and profit shifting (BEPS). This was one of the main achievements of the St Petersburg G20 Leaders’ Summit. Now that the ball has been passed to Australia, Canberra must not drop it. Australia would have to demonstrate tangible progress in 2014, but expectations would also need to be managed, for this is a complex and contentious issue where the history is one of slow movement. The new Australian Government should make use of Australia's recently established strategic partnership with China to promote free trade, enhance defence cooperation, and discuss a bilateral investment treaty. Now is the time to be ambitious. The decision in April 2013 by the Chinese Government to establish a strategic partnership with Australia and agree to an annual, high-level dialogue with Canberra on political, economic and military affairs was a major milestone in Australia-China relations. But a consultation framework is only a useful tool. Left unused, any partnership, let alone a strategic one, will be hollow. China's and Australia's senior leaders now have a regular forum not only to discuss bilateral affairs but also regional and global issues. China has committed its senior leaders to this type of arrangement with very few countries. It raises Australia's relationship with China to a new level; Canberra should use this to its advantage. Beijing is committed to the dialogue, but it will be very much up to Canberra to put forward ideas that give it substance. The new government needs to identify initiatives that stand apart from the long list of routine bilateral issues. One goal should be to raise Australia's profile as a regional player in the eyes of Beijing' leaders. The following are three specific ideas that should be considered. Two regional initiatives should be top priorities in Canberra's discussions with Beijing. First, as the 2014 chair of the G20 and a nation reliant on free trade, Australia should urgently explore China's willingness to publish a joint statement supporting global trade agreements. * Next year China takes on the chairmanship of the Asia-Pacific Economic Cooperation (APEC), which was founded, in part, to promote free trade. Even a generally-worded statement from the upcoming G20 and APEC chairs – a developed economy and an emerging economy – about the need to restart global free trade negotiations would send a strong signal to counter protectionist inclinations. Agreement on the wording of such a statement would require Australian and Chinese officials at all levels to work together. This would increase familiarity between officials, which in turn could lay the foundation for future joint initiatives. It is in Australia's interest to be perceived by China as a partner of choice when it comes to discussing regional and global problems. Second, Canberra should establish a major regional training centre for humanitarian assistance and disaster relief (HADR) in Darwin and invite China to be an active participant in it. Canberra could use the Australia-China dialogue to explain its intentions and win Beijing's support for such an initiative. A state-of-the-art HADR centre would both raise Australia's profile as a regional player and encourage China to increase its defence cooperation with the region. Defence cooperation between China and Australia has come a long way since the first port call in China by three Royal Australian Navy (RAN) ships 16 years ago. The Chiefs (or Deputy Chiefs) of Staff meet regularly, the People's Liberation Army (PLA) and Australian Defence Force have conducted half-a-dozen joint exercises, and the RAN has paid more than 10 port visits to mainland China. However, there is little depth and substance to defence cooperation. Genuine interaction between the defence forces and time spent working side-by-side has been minimal. The more the Australian defence forces – and others – understand how the PLA operates, the less risk there is for misunderstanding (and miscalculation). Providing China, Indonesia and other regional actors with an opportunity to train alongside the United States at a first-class HADR centre would take Australia-China defence ties to a new level. Senior ADF officers endorse the idea; in private conversations they note that there is a strong probability that ADF and PLA soldiers will work side-by-side when a natural disaster next strikes in the region. The United States would also support such an initiative. Last month three Chinese navy ships joined search-and-rescue drills with the United States in the waters off Hawaii. Afterward, the ships continued on to Australia and New Zealand for similar exercises. The US and Chinese militaries are exchanging military officers for academic studies and holding talks on humanitarian assistance and disaster relief. In 2014, at the invitation of the United States Pacific Command, China's navy will participate for the first time in a major international maritime exercise, Rim of the Pacific. Darwin would be an obvious location for a regional HADR centre. Darwin – and the decision to base US Marines there – needs to be de-mystified in the minds of Chinese strategic thinkers. Inviting the Chinese to Darwin to take part in multilateral HADR training exercises and for high-level political meetings could help achieve this. Darwin has become shorthand in China for concerns about Australia’s role in the US rebalancing strategy. The third initiative to be put on the agenda of the strategic dialogue between Canberra and Beijing would be the negotiation of a bilateral investment treaty (BIT). Canberra should utilise its close relations with the United States to learn the ins and outs of the BIT negotiations currently being conducted between Beijing and Washington, and then follow in Washington's footsteps. China and the United States announced their intention to negotiate a high-level BIT following talks in July 2013 at the US-China Strategic and Economic Dialogue. China has pledged to negotiate a BIT that would include all stages of investment and all sectors based on a 'negative list' approach. This approach would identify sectors that are not open to foreign investment. It would replace China's current practice of listing some sectors that are open to foreign investment, but leaving uncertainty about others. China’s move has been described by US officials as 'a significant breakthrough, and the first time China has agreed to do so with another country'. There are several indications that China, after years of dragging its feet, is ready to cooperate on a host of free trade and investment issues. For example, China has announced plans to establish a pilot free trade zone program in Shanghai, allowing foreign enterprises to compete on the same terms as Chinese firms across a wide range of service sectors. Australia needs to move swiftly and be the second in line after the United States, prepared to move forward with detailed negotiations. Australia will not be the only country that would want to follow in the wake of a successful American agreement. There would be lucrative investment projects waiting, if China does indeed modify its stance toward foreign direct investment. * I am grateful to my Lowy Institute colleague Mike Callaghan for this suggestion. Australia’s ability to shape developments in the Pacific Islands is being challenged by a growing number of new donor countries active in the region, chief amongst them China. Whilst there is little prospect that China will supplant Australia’s development role or trade and investment links in the region any time soon, some Pacific governments are using China’s generosity to reduce Australia’s influence in the region. The solution is not to block China in the Pacific Islands, but to work with it. The Pacific is Australia’s front yard. Australia spends billions of aid dollars in the Pacific Islands. It is the region’s leading partner by a considerable margin in trade, investment, aid and defence. But Australia should also feel comfortable enough in its own position to work with emerging players such as China. In purely financial terms, China is still a long way behind Australia as a donor in the Pacific. Australian aid for the period of 2006 to 2011 totalled US$4.8 billion, more than five times China’s aid contribution to the Pacific Islands over the same period. Pacific governments are courting Chinese aid and investment as a way to assert greater independence from traditional donors such as Australia. At the extreme end of the spectrum, for example, Fiji is actively procuring Chinese support for sub-regional organisations, such as the Melanesian Spearhead Group and the new Pacific Islands Development Forum, to erode Australia’s influence in the region. Australia seems prepared to work with China, but is also wary of it. During the visit of then Chinese vice-premier Li Keqiang to Canberra in October 2009, the two countries agreed that they shared ‘important common interests in promoting peace, stability and development in the Asia-Pacific region’. Australia and China signed a Development Cooperation Partnership MOU that enables collaboration in the Pacific in April 2013. But the 2013 Defence White Paper hinted at official concerns about China’s rise in the region. It referred to the ‘growing reach and influence of Asian nations’ as a ‘challenge’ that might affect Australia’s ‘contribution’ to the region. Such attitudes may reflect a prudent analysis of threats and opportunities posed by China in the Pacific Islands region. But expressed publicly in this way, they also have the effect of sending an unhelpfully mixed message and enable Pacific Islands leaders to play on fears of China in their demands to Australia for aid with fewer strings attached. First, the new government should go beyond the agreements that have already been signed with China on cooperation in the Pacific to give them real practical effect. For example, the joint pilot investigation into malaria in Papua New Guinea should be extended beyond a mere information exchange to become a project that involves real development cooperation. Second, the new government should tie its cooperation with China in the Pacific Islands more firmly to the broader political relationship. It should do this by putting this cooperation on the agenda of the new high-level strategic dialogue between Australia and China. The dialogue would provide a mechanism to exchange views on common challenges in the region. Issues like climate change, disaster management, food security and disease are not only top priorities for Pacific Island societies, they are areas in which Australia and China have strong interests and some common or complementary expertise and objectives. Unlike many traditional security issues, discussion of these issues in a Pacific Islands context is unlikely to be politically sensitive for China given it is a region where so few of China’s core interests are engaged – so the discussion is likely to be more productive. A high-level discussion that reached broad agreement on approaches to the region’s major challenges would facilitate collaboration in specific priority areas. This could include projects on climate change mitigation, the development of high-yield crops, efforts to prevent the rise of tuberculosis and non-communicable diseases, and joint defence disaster relief responses. Cooperation would deliver benefits for Australia, for China and ultimately for the Pacific Islands as well. For Australia, it would reinforce its influence in the region, but also promote development. There have been negative consequences from Chinese development activities. In some cases Chinese aid activities have caused debt distress, adverse environmental impacts and social tensions. The relative inexperience of some Chinese companies has entangled them in domestic political and community disputes. Working with China would help mitigate the worst of these problems and reduce pressure on Australian development activities. It would also send a signal to the region that there is no value in playing Australia off China in efforts to attract more aid. China wants to be seen as a globally responsible player. The Pacific Islands offers an easy opportunity to do that. Parts of the bureaucracy in Beijing recognise that they need to improve their knowledge of the region. Chinese aid activities have already caused resentment in many Pacific Island countries. There is always potential for community resentment to spill over into the kind of anti-Chinese sentiment that gave rise to riots, damage to Chinese-owned property and threats to Chinese expatriates in Solomon Islands and Tonga in 2006 and Papua New Guinea in 2009. Chinese authorities would be keen to avoid any repeats of this scenario. If China can demonstrate it is both committed to helping the Pacific Islands tackle challenges that are already recognised as priorities in regional and multilateral forums, and to collaborating with the region’s most significant partner, this constructive approach would be noticed internationally. That China agreed to the Australian MOU on development cooperation shows it is willing to consider a collaborative approach to addressing development challenges in the region. High-level agreement between Australia and China on approaches to development in the Pacific would also give local states greater certainty about the commitment of their major external donors to core development and security challenges. High-level Australia-China discussion of non-traditional security challenges in the Pacific could feed into the agenda of the annual Pacific Islands Forum Leaders meetings. It would defuse the tensions that are sometimes evident in Forum meetings over the role of China in the region. In their bilateral relations China and Australia will not always agree on every issue, nor should they expect to. There are plenty of issues, especially over the strategic future of East Asia, where the idea of working with China will prove more difficult and sensitive. It is worthwhile, therefore, to look for areas where such cooperation is more achievable. Working with China in the Pacific Islands region would not simply deliver real benefits to the region, it would be healthy for the bilateral relationship. Ending people-smuggling is a clear policy priority for the new Australian Government – perhaps the clearest priority it set for itself before the election. But just because it is a priority does not mean the problem can be solved overnight. The new Australian Government should adopt a set of key principles for tackling the issue in a measured, sustainable and long-term fashion. There are a number of reasons why people-smuggling should be a priority beyond simply the need to control Australia’s borders. There is a humanitarian prerogative to stop desperate people dying to get to Australia. Stopping irregular maritime arrivals has also become a litmus test for public confidence in the overall ability of government to perform its core tasks. Moreover, the dramatic growth in the number of boats has elevated the issue from a minor blemish on an otherwise standard-setting migration management program, to one that risks undermining the integrity of the program altogether. International migration is in Australia’s national interests and Australia’s national interests should not be held to ransom by people-smugglers. It would be a mistake, however, for the new government to underestimate the challenge, or the time it will take to develop a policy that works. If we have learned nothing else from the last few years, it is that this is a complex problem that defies easy solutions. And now the election is won, the new government has an opportunity to create the breathing-space it needs to get it right. This is the time for measured policy-making not knee-jerk political posturing. The new government already staked out its approach towards people-smuggling before the election based on an uncompromising promise to ‘stop the boats’. Detailed policy now needs to be developed, tested, and costed; an appropriate apportionment of staff and resources is required; and new policies need to be effectively communicated. First, manage expectations and change the terms of the debate. There are too many elements of the people-smuggling process that are outside the government’s immediate influence to allow for confident forecasts about reductions in boat arrivals over particular time horizons. Understanding this is the first step towards achieving the goal of ending people-smuggling. Demonstrating that the government understands this is the first step towards reassuring the public that it is taking this challenge seriously. Australians are almost as frustrated with the lack of a clear policy on people-smuggling as they are with the number of people arriving by boat. The people want – and deserve – leadership not lies, fact not fiction, honesty not hubris. Now is the moment to change the tone of the debate, and to pose people-smuggling as a complex challenge to which there are no quick solutions and which realistically can be reduced but not eradicated. Many people who arrive in Australia by boat should be granted refugee status. A proportion of migrants who come to Australia legally are cheating the system. Some asylum seekers pose a threat to Australia’s national security. A few Australians are racist. Not all people-smugglers are criminals. Each of these statements risks offence, but each is true. It would be almost impossible to develop sensible policy unless such truths are confronted head-on. Debate the facts, don’t deny them. Second, develop an evidence-base for policy and test proposals against domestic and international law. Policy based on surmise or developed for political purposes is neither credible nor effective. Basic questions still remain unanswered in the Australian context: why do asylum seekers risk their lives to come to Australia by boat? What do they know about asylum policy, and does policy make any difference to their decisions? How does the people-smuggling industry work, and what happens in transit countries? Targeted, policy-oriented research needs to provide answers to the questions as a foundation for proactive policies. Legal appeals have a tendency to avalanche. They disrupt the implementation of policies. They provide windows of opportunity to people-smugglers and prospects for their clients. Repairing the strained relationship between the executive and the judiciary would be important for carrying forward the entire legislative agenda of the new government, and not just on asylum seekers. For all these reasons and more, the new government needs to be confident that its policy would pass legal tests. Third, promote effective consultation. Consultation is critical for legitimate and effective policy-making, but it need not be a box-ticking exercise. Get on the front foot: challenge civil society to support the government’s agenda in the national interest; hold the private sector to account in respecting migrants’ rights; incentivise the research community to provide solutions not just identify problems. Fourth, cooperate regionally and globally. People-smuggling is a transnational phenomenon that cannot be managed on a unilateral basis. Equally it is too insignificant an issue to risk jeopardizing economic or trade or other bilateral, regional, or global partnerships. Development assistance should aim for grander goals than reducing immigration or facilitating returns. Regional neighbours are potential trading partners, not just transit countries. Engage the international community to provide a roadmap rather than a roadblock. People-smuggling is a global scourge, and should not be an Australian obsession. There are lessons to learn from approaches adopted elsewhere in the world. Global cooperation serves Australian national interests. Australia should contribute to multilateral efforts to stem people-smuggling. The goal of the government should not be limited to reducing irregular maritime arrivals to Australia; it should be to help undermine the global crime of people-smuggling. Finally, make the case for immigration. It would be a fundamental mistake to allow irregular maritime arrivals to do further damage to the national interests of Australia by deterring a strong commitment to continue importing and settling the skills, innovation, enterprise, multiculturalism, and demographic advantages that immigrants bring to Australia. The new government should be a champion of immigration. In the long term this will give the government the legitimacy to control it.